I had planned to try the Veggie-Go before or after one of my workouts this past week, but never got around to it. The package was stuffed in my gym bag, left in my car one day (by the way, I live in South Georgia and I am sure that temps in the car get over 120°F), was put in my running belt during a long run one day, and then stuffed in my purse for a few days. Today, the munchkins and I tackled a long list of to-do’s around town that had us on the go for almost 6 hours. 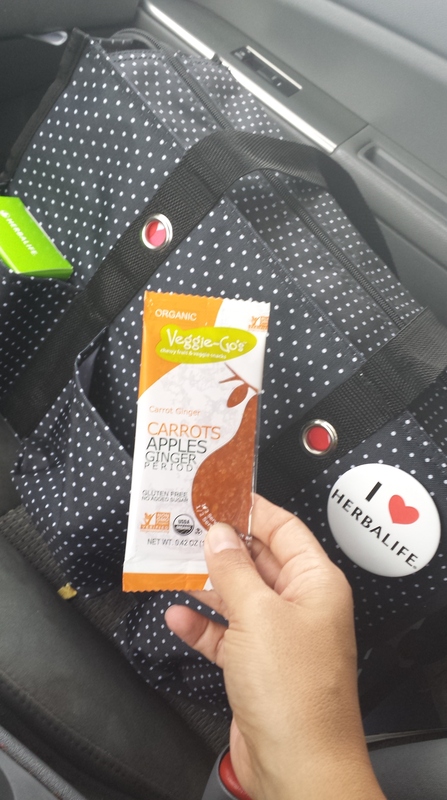 Before we began our epic journey of to-do’s, I made them a large snack bag with a few juice boxes and made myself a Herbalife Dulce de Leche Healthy Meal Shake. Off we went. We had planned to meet up with the big ole’ hunk in each of our lives, aka the hubby/daddy, for dinner. We were wrapping up our to-do’s when I realized we had an hour to kill before dinner and I was feeling hangry…. that’s right, so hungry I was getting angry. Then, I remembered I had the Veggie-Go in my purse so I busted it open. I was pleasantly surprised that the Veggie-Go did not stick to the inside of the packaging with everything I had put it through during the past week. 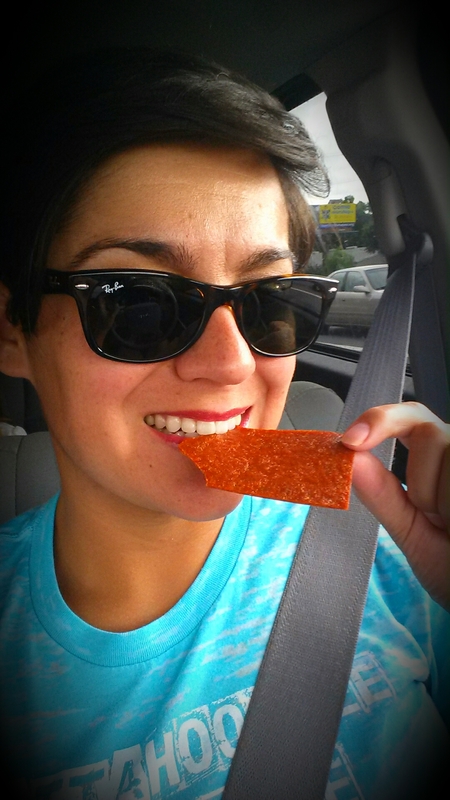 The texture was similar to a fruit roll-up, but was just a little bit thicker. I did taste the carrot and ginger and I believe the apple is what gave it the sweet flavor without tasting like an apple. I am not a big fan of ginger and was overwhelmed by the ginger flavor. Halfway through the Veggie-Go all I could taste was ginger. Of course my kids wanted to try it and when they went to take a little bite, they hesitated and made that…. “umm, are you sure this is food” expression. Being 3 and 5, they were very honest about their disinterest.. It did not make me thirsty and it kept the hangry feeling away during the last hour before dinner, which impressed me since it was only 20 calories…. or, maybe it was the ginger that numbed my taste buds. 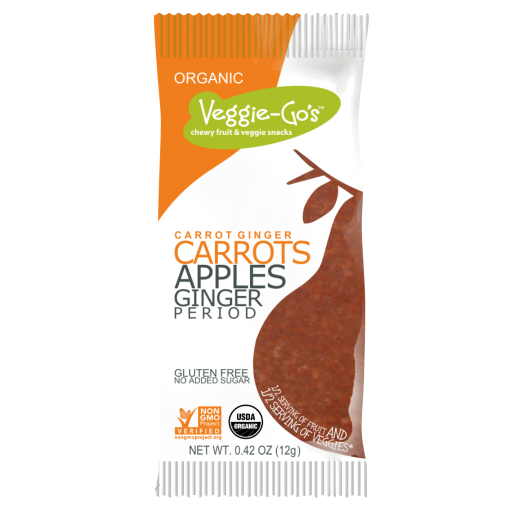 The Veggie-Go’s come in four flavors: Mountain Berry Spinach, Sweet Potato Pie, Cinnamon Spiced Beet, and Carrot Ginger. As of right now, I don’t plan on purchasing any Veggie-Go’s in the near future. However, I would definitely consider giving them a second chance if I saw the Mountain Berry Spinach or Cinnamon Spiced Beet on the shelf. I don’t think that would fill me up as much as an apple. Did you really like it? I liked that it was durable. I would definitely sample one more flavor. They would be easy to eat while cycling.